How To Survive Your Work Christmas Party - 94.3 KAT Country! ‘Tis the season for work Christmas parties! So how do you survive mixing booze, coworkers, and a night made for partying? Some of use more than others know just how easy it is to embarrass yourself at a work Christmas party. It’s a night that’s made for a fun with you coworkers but too often they end in drunken disasters. Listen to 94.3 KAT Country while you work. Listen Live, HERE. At the 94.3 KAT Country work Christmas parties we always have “The One”. Nobody wants to be “The One” but it seems like we’ve all taken our turn being “The One” that had one too many drinks, stayed at the after party far too long, or ended up having embarrassing photo booth photos blasted all over social media. So how do you end up NOT being “The One”? 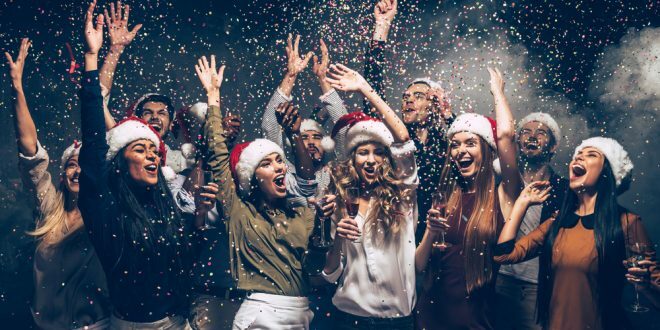 Business Insider recently revealed their list for 17 tips for surviving your office holiday party. So keep it together this year and have a great work Christmas party!